No one should see this. 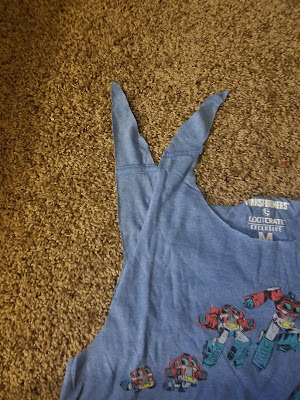 : T-shirt Refashion! I'm doing all kinds of stuff with t-shirts lately. So, my brother Corey subscribes to Loot Crate, and greatly enjoys it. 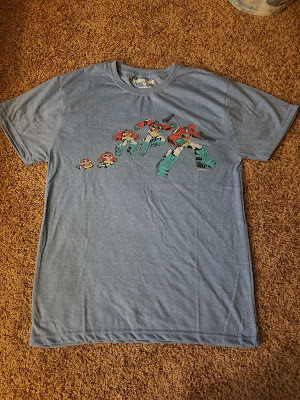 However, every so often he gets a t-shirt in the crates that he either doesn't really get or doesn't care about, it's not a fandom he's interested in. So if it's something that appeals to me, he will let me have the shirt since we aren't too far from the same size. 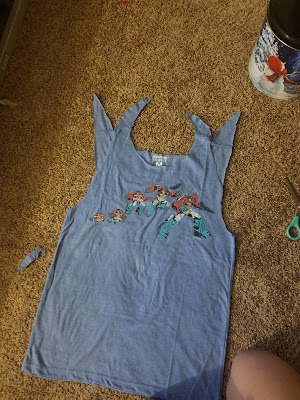 His shirts are one size bigger than I would get, so they're a little loose, but with my sewing skills that doesn't bother me. I know I can fix it. However, as previously mentioned, I have so many t-shirts. 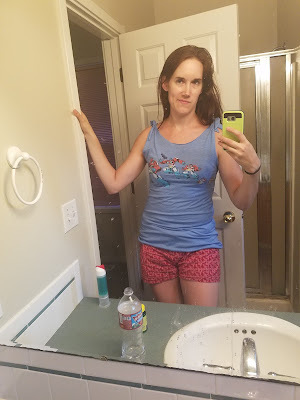 And since it's summer now I don't always want to wear shirts with sleeves, I'd rather wear tank tops. 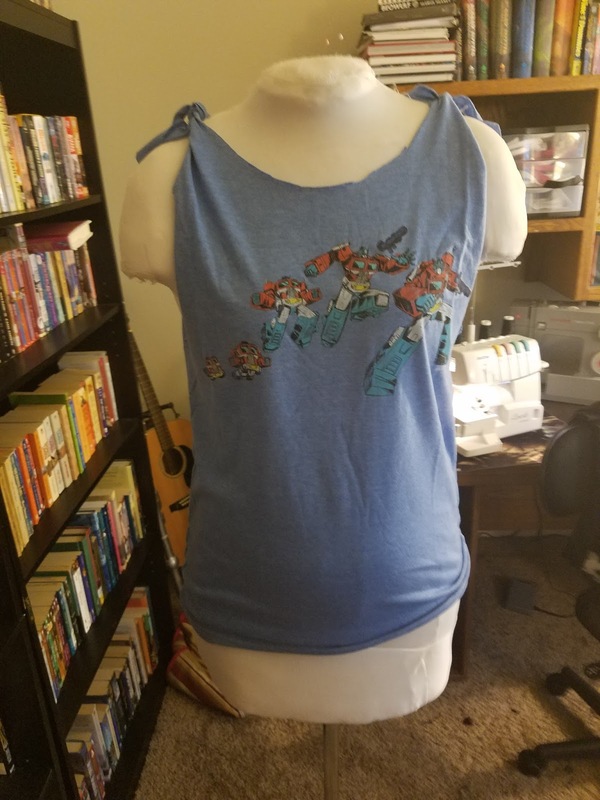 So when I went to adjust the sizing, I decided to turn them into tank tops. I saw a picture online of an altered t-shirt that I liked and decided to copy it, so this is what I did. 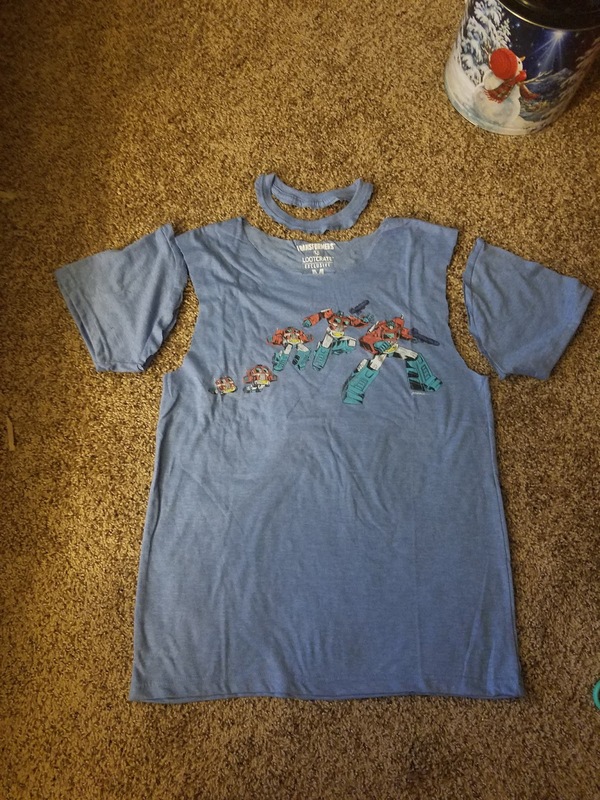 So here's the shirt. Classic 80s Transformers. Corey is too young to appreciate classic Transformers, and too smart to appreciate new Transformers. So I took it. 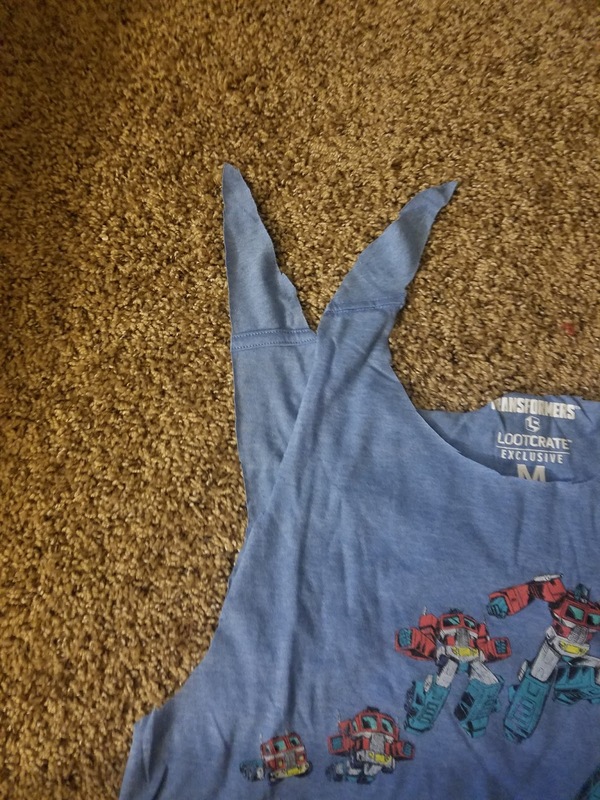 To start, I cut off the sleeves and collar. If all you were looking for was a classy way to show off your guns, feel free to stop here. Make sure you're only cutting one layer of fabric, start roughly halfway on the sleeve cut upward at an angle through the shoulder and around the collar to create two triangular straps. Do this on both sides. I hope that makes sense. 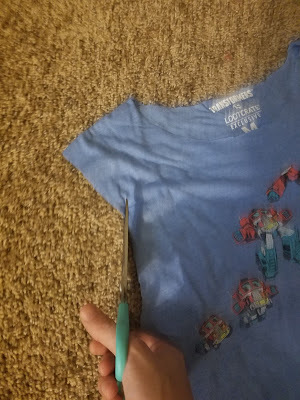 By cutting it like this you get long straps that can be tied together. For the next step I put the shirt on my mannequin, Lumpy Space Princess for simplicity's sake. 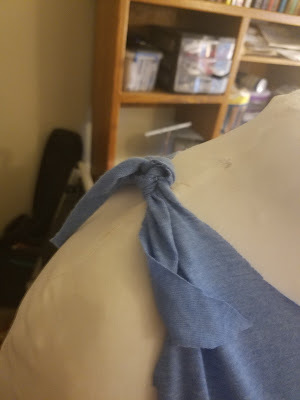 Then the straps are tied together right at the shoulder, aiming to make the knot on top of the shoulder seam. The last step is to make all the sizing adjustments, taking in the sides and trimming off any extra or weirdly shaped areas to make it look nice. In the end, you get this. 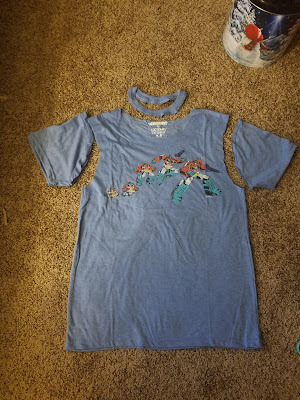 I had four shirts that I did this with, and I'm pretty happy about it. I have cool new tank tops for summer!